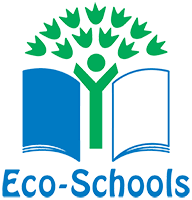 Beach School is a brand new concept and is a natural adjunct to Forest School. 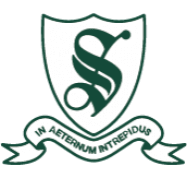 The student-led learning ethos is still the same; it is just the surroundings that are different. Imagine learning in the fresh air, in an environment bursting with resources and opportunities, where all your senses are stimulated and your imagination can run wild. This is Beach School! We are very lucky to have in Hampshire over 70 miles of varied shoreline – shingle, pebble, rockpool, estuary and golden sand. Each environment offers its own set of learning opportunities and potential for discovery.Beach School programmes are designed with the participants in mind, to bring out their best, build their self-esteem and self-confidence, and, ultimately, to make learning in the outdoors a motivational experience. Beach School, like Forest School, is a whole lot more than environmental study – it can be designed to link with every aspect of the curriculum – from numeracy to art. At Beach School, children learn about the natural world around them and develop their practical, emotional and intellectual skills: and the really great thing about it is that it takes place at the seaside! 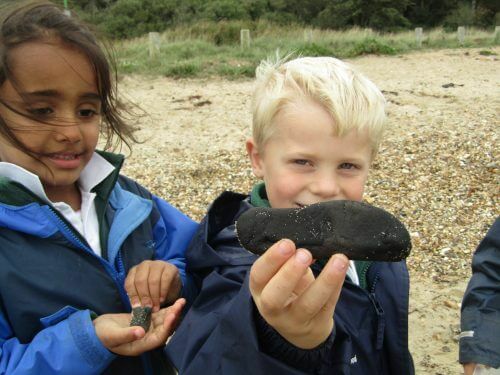 Every week a class in Key Stage 1 visits Lepe Beach for a Beach School session for an afternoon. The activities change each week, and to date we have been scavenger hunting, den building, made natural art sculptures, had sandcastle competitions and made natural seaside wind chimes.